Popular mobile game, Chuckie Egg 2017, is coming to PC and Mac computers on the Steam distribution platform. 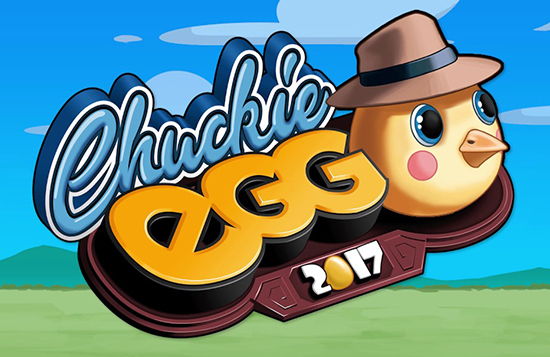 Featuring new levels, bonus stages, and new game modes including Survivor Run where players see how far they can get on one life, Chuckie Egg 2017 Steam edition brings the retro-modern platformer onto the PC with an eggs-citing bang! Join Harry as he searches for and collects hundreds of golden eggs spread across 25 levels and some hidden extras. Your fingers will be tapping as you guide Harry from level to level, grabbing every last egg along the way (and maybe munching some bird seed too!). But, watch out! Bertha, Harry's arch enemy, is not going to stop until she’s put an end to his egg-hunting antics! And those pesky ostriches may be slow, but if Harry gets cornered, it could be Game Over! Inspired by the 1983 game of the same name, Chuckie Egg 2017 is a modern take on the retro-style platformer with vibrant art, precise controls, and music that will have you humming away while you play. It’s going to be an egg-splosive adventure, so get your fast fingers at the ready! Hatch a plan to beat the game and don’t get too hard boiled or you may end up being scrambled!!! Chuckie Egg 2017 PC edition will be released on Steam for PC and Mac on October 16, with the game also available separately on the Mac AppStore at the same time.